Are you experiencing difficulty managing your debt? If so, you should consider the debt relief afforded by federal bankruptcy laws and help from our experienced Oklahoma Chapter 7 Bankruptcy Lawyers. A Chapter 7 bankruptcy provides you with a fresh start by allowing you to reduce, restructure, or eliminate most of your debt. The beauty of a chapter 7 is that you can file and still keep most or all of your assets. You can eliminate all credit card debt, eliminate medical bills as well as repossessions and most other money judgments, pay day loans and garnishments. Our Oklahoma chapter 7 Bankruptcy lawyers will help you get the fresh financial start you need. Chapter 7 is sometimes called the “Fresh Financial Start Bankruptcy”. It’s by far the most commonly filed form of bankruptcy protection in Oklahoma. Chapter 7 is the easiest, cheapest and most comprehensive type of bankruptcy. This is because it allows you to wipe your financial slate clean of most if not all debts and start over. This bankruptcy code provision is available to individuals, married couples, corporations and partnerships. Help is on the way and this help is just around the corner. 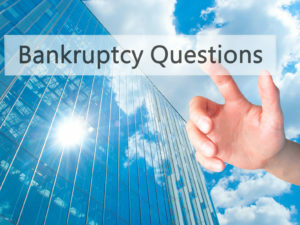 Unlike a Chapter 13 bankruptcy which requires you to make payments on your debt, in chapter 7 the final discharge normally occurs quickly after the Chapter 7 bankruptcy case is filed. Many people worry about losing their house, car or other possessions. They dont have to worry because in most cases your property is protected. In chapter 7 bankruptcy most of your property is exempt from creditors. Exempt assets continue your possession. Those exempt assets include your home, most of your personal belongings and any retirement accounts in your name. For a complete list of Oklahoma exemptions call one of our Bankruptcy Attorneys. Once the Chapter 7 Bankruptcy is filed, collection efforts by your creditors must stop. This means that once the case is filed and before the case closes, calls from creditors stop and lawsuits which relate to the debts will be stayed or put on hold. Additionally, if your paycheck is being garnished it most stop on the day we file your case.